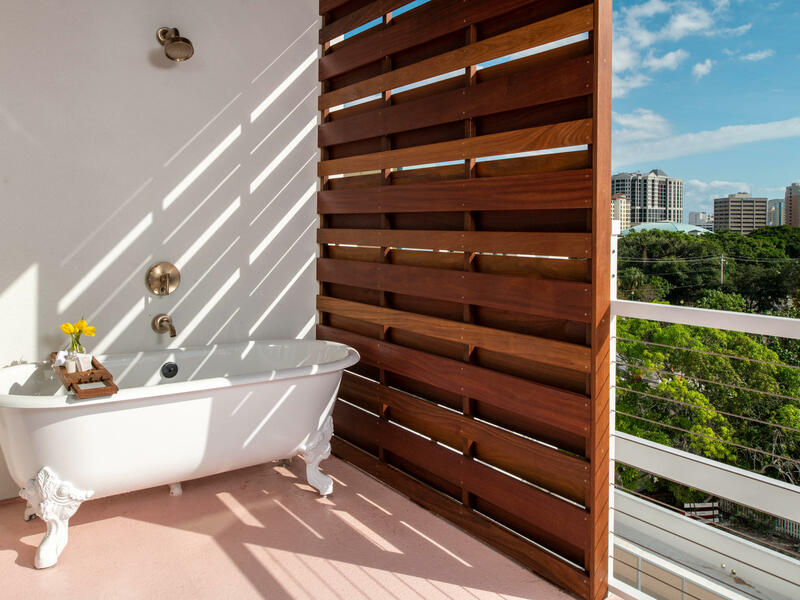 This top floor 600-square foot suite with a partial ocean view features a sitting area, wet bar and a clawfoot bathtub on the 200-square-foot balcony. 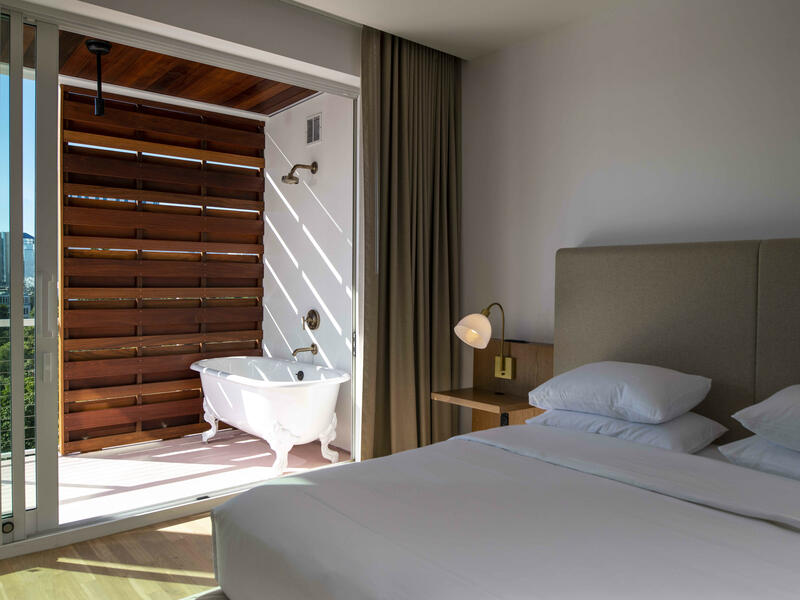 As with all rooms at The Sarasota Modern, the Deluxe Suite comes with thoughtful modernist finishes, high speed Wi-Fi, custom designed bath amenities, designer furnishings, and impeccable hospitality. 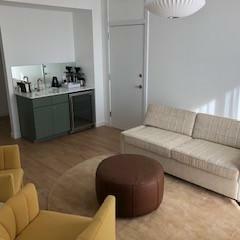 * Room combines with the Apartment Suite to create a combined multi-room suite with over 1,800 square feet of indoor/outdoor living and occupany for up to 6 guests. Please contact our reservation line at 941-906-1290 for additional information and to book this combination.